Which substrate under the laminate is best suited for your foundation, given its practicality and durability of the laminated coating, we will discuss these intricacies in this article. Laminate, as a building and finishing material, is now at the peak of popularity. After all, it is quite durable and is perfect as a floor covering. Moreover - laying laminate is possible even for someone who is inexperienced in these matters and has not come across this material before. What is there to say - laminate has several advantages over other materials. Why are substrates needed and what are the requirements for them? It must be remembered that in order for the laminate floor to be really beautiful, before laying this material it is necessary to achieve an almost perfectly flat base surface on which the laminate will be laid. It may seem that there is no easier task. 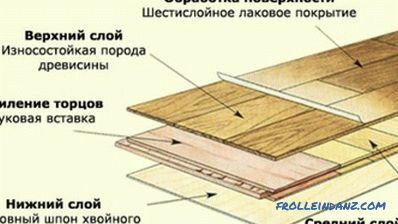 That is, it suffices to achieve a flat surface of the base and begin to lay the laminate by a floating method, in which a "monolithic board" is formed, which is not rigidly connected with the base. True, not everything is so simple. Try to just walk on this floor in shoes with heels, as you can hear a loud clatter, as if not a man passed, but a horse. The lifespan of such a coating is not long, in 2-3 months a gap will appear in the joints of the laminate, and then the floor will simply begin to sag and knock on the base. In order to prevent such an incident, usually a substrate is placed under the laminate, the thickness of which lies within 2-4 mm. The substrate is designed to smooth the unevenness of the base, to be something like a shock absorber between the laminate and the screed, as well as to suppress the noises that begin to appear when walking on the laminate. Today, most of the substrates for laminate are porous and are afraid of moisture. The only exception is Tuplex and bitumen mastic. If the substrate is placed on plywood sheets, then there is no need for additional moisture insulation. If the parquet board and laminate are laid on the screed, then due to the temperature difference, condensation begins to appear on the screed. In this case, it is strongly recommended to put a PVC film under the substrate with a thickness of at least 0.2 mm. To determine which substrate is best suited for laminate consider the technical characteristics, as well as the advantages and disadvantages of each type of substrate. 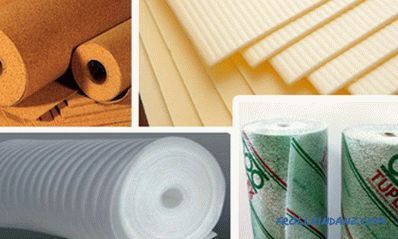 Polyethylene foam is a fragile material and if it is under load for a long time, it tends to be pressed. 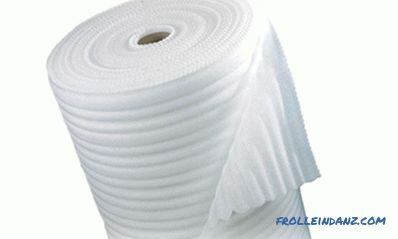 Polyethylene foam is sold in rolls. 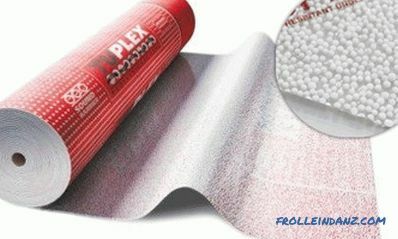 In general, this material is considered the cheapest for the substrate and is very easy to tear. After about 10 years, the foamed polyethylene begins to gradually disintegrate, and it is no longer the material for the substrate that is obtained, but the powder, which badly “holds” moisture and passes heat. And if we add here the fact that these rolls could lie in warehouses for 2 years, waiting for their buyer, then the residual life of his service is even less. 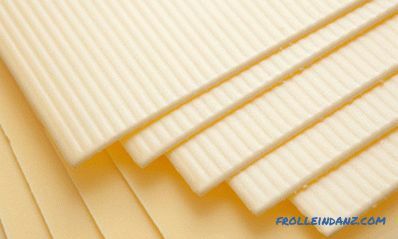 Choosing foamed polyethylene as a material for the substrate, one should pay attention to its density. If the density is good, then its quality is high and its service life will be long. As with any material, this type of substrate has both advantages and disadvantages. Polystyrene has almost the same characteristics as polyethylene, but some parameters are many times better. The thickness of the polystyrene is 3 mm and it is usually used as a substrate in those houses where the flooring should have enhanced thermal insulation characteristics, for example, in a private house. 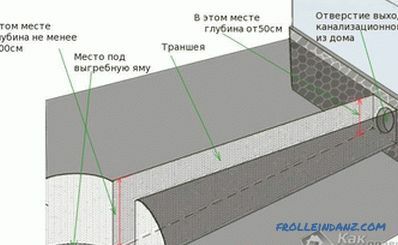 Polystyrene is sold in slabs whose dimensions are meter-per-meter. In a pack, usually 10 sheets of polystyrene. In some cases, the polystyrene substrate has 2 layers. The first is polystyrene, and the second is aluminum foil. These layers are interconnected. In the process of laying it is necessary to ensure that the foil is always on top. The connection of the sheets, in this case, is made by sticking tape from stanoliol. It has good sound absorbing and noise absorbing properties. under heavy loads, polystyrene is simply compressed and loses its characteristics. Such substrates are usually made from cork crumbs, pressing them. This is an environmentally friendly material, because there are no components harmful to health. Apparently, for this reason, such a material for the substrate is the most expensive among all known. 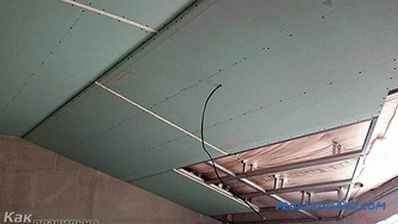 But, being under the laminate, such a substrate is not pressed, and its sound insulation and thermal insulation characteristics are among the best. Cork substrates can be sold both in the form of plates and in the form of rolls, which makes it possible to reduce costs when purchasing this material and thus save money. the cost of the cork substrate may be great for some. Substrate of pressed cork wood. This is a mixture of synthetic rubber and granular cork. 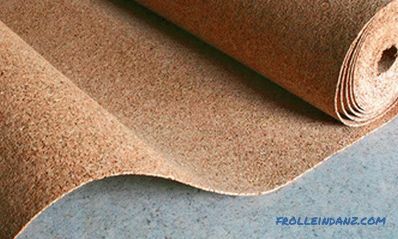 According to some reports, this material is several times better than cork substrate in terms of sound insulation. To present this material, just look at the Finnish material Parkolag from ICOPAL, the basis of which consists of kraft-paper impregnated with bitumen and then perepysanie crumbled crumbs. This material must be laid down with cork overfilling. So you can provide micro-ventilation under the substrate. In other words, this layer does not allow the formation of moisture. 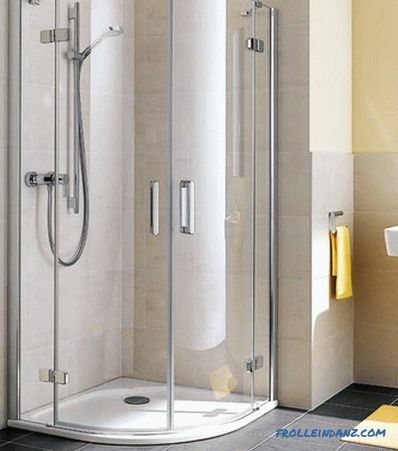 If such a substrate is used, then no additional waterproofing is necessary. It is a composite material with a thickness of at least 3 mm, which is made in France. Structurally, it has 2 layers of PVC film, between which granulated polystyrene lies. All this is covered with high-strength polyethylene, which is designed for heavy loads and protects the laminate from moisture and dirt. The bottom layer is also covered with polyethylene, but not so strong. But in it there are many micro holes, which let moisture into the bulk space filled with granulated polystyrene. This is a pretty good material that perfectly absorbs noise. Laying it fast and you can use it when organizing underfloor heating. It is necessary to dock it only on the one hand, using a special overlap on which special adhesive is applied. This material is not subject to deformation, but it is very afraid of high humidity. Despite the fact that this material can be called new in the construction market of Russia, however, its active promotion has already begun. 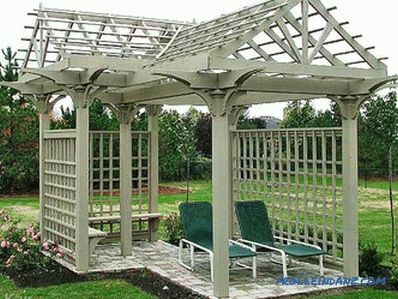 Its advantages include heat, noise and moisture insulation. All this, of course, is good, but it has one, but a very serious drawback, which is that the bitumen mastic underlying this substrate is a “hotbed” of formaldehyde. That is why this material is banned in many countries. Interestingly, our, domestic producers are silent about this fact. Which substrate is best suited for laminate? As regards such a parameter as the thickness of the substrate, experts recommend using substrates with a thickness of no more than 2 to 3 mm to avoid excessive damping and sagging of the sent canvas. You also need to know that a quality substrate, as an intermediate material, can increase the life of the laminate. Whatever modification the component composition of the laminate panel has, whether it will include polymer additives or include fiberboard or MDF, in any case, this flooring can be carried to a wooden floor. Which in turn means that for him it is necessary to provide certain conditions for laying, which depends on the substrate.